I'm going to use DMC and 32 ct. Vintage Examplar by Lakeside Linens. I may do a conversion to Crescent Colours for the houses - I haven't quite decided yet. Thanks, Nicole, for setting up this blog. I like the color of the linen that you've chosen. I can't wait to get started on mine! Oh wow, I'm tempted to join you... Maybe I will! I love your choice of linen and DMC. 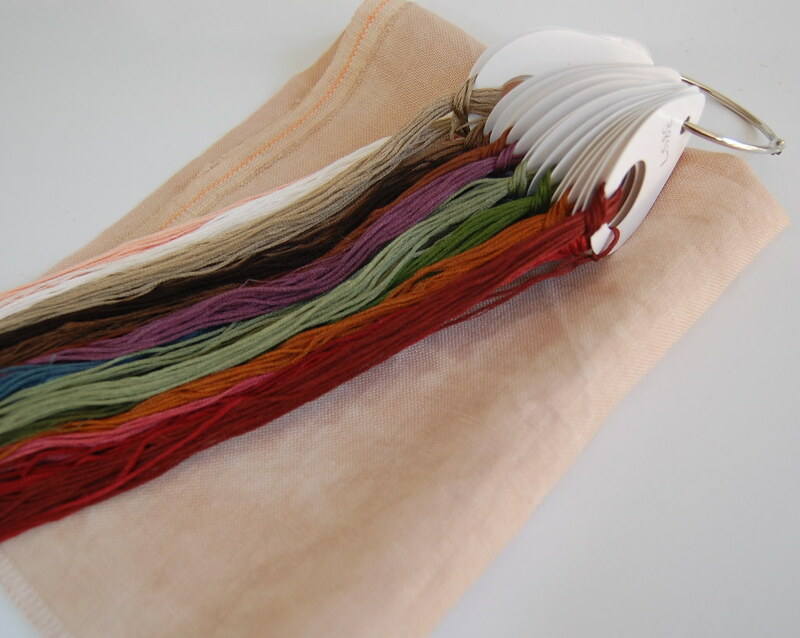 BTW: what kind of bobbins are you using for your threads? They look very useful! Thx for the invite! Blogs are such wonderful enablers ;p. I have an order in to my lns for this pattern, and if luck has it, I may be starting on it this weekend. Simone they are Thread Drops distributed by Access Commoditites. They are the same people that distribue Au Ver a Soie silk. I used to get them at my LNS Silk Road Needlearts. Hope this helps and we'd love to have you SAL with us! I am still waiting for my chart in the mail. Can I hang around here anyway, even though I won't be able to start for a while? I ordered my pattern today!!! Hope fully it will be here mid week!! !